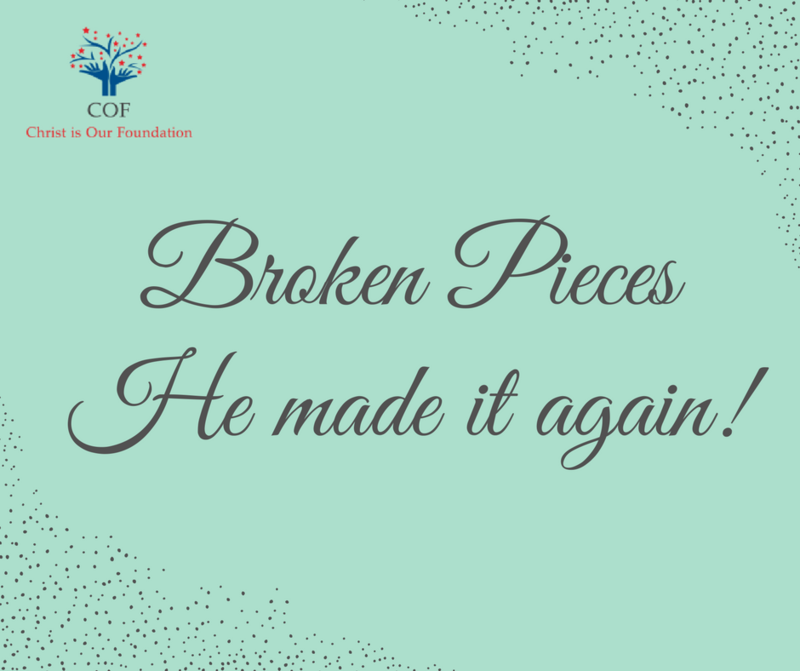 Broken Pieces: He made it again! Away back in your life God took you and place you upon the wheel, and for these many years, God has sought to make you fair. But I know not why I cannot tell-God knows-you know- there has come a flaw and break and you are a piece of broken pottery. Your life is marred, your ideal a broken ideal and all around there lie the littered pieces of the man or the woman that you might have been. But now what shall you do? God put you in that place for a high purpose but you have missed your mark. Shall God take another man and give him your wealth, another woman and give her your position? Shall God take another student and put him in your church? Not yet, not yet. He might take another piece of clay and make that a vessel but instead, he comes again to seek you. His hand is passing through this audience to find you, that broken pieces of your life. The hand of God is, so to speak, laying the hand upon the broken pieces of your spoiled life and if you will let Him, He will now begin to complete your nature by making it be what He meant it to be years ago when you were cradled at the foot of the cross. He hates nothing that He has made and with an equal love He wants to do his best for each!